Ras al-Naqoura (Lebanon), Feb 14 (IANS/AKI) The United Nations-drawn Blue Line was the focus of a meeting Wednesday between the United Nations peacekeeping mission in Lebanon's head Stefano Del Col and senior officers from the Lebanese National Army and the Israel Defence Forces, UNIFIL said in a statement. "Calm" has prevailed along the Blue Line border demarcation with Israel since the last tripartite talks on January 10, Del Col said at Wednesday's meeting held in Ras al-Naqoura in southern Lebanon. "I see the Blue Line marking as one of the most important confidence building tools at our disposal and I ask that every effort is undertaken to create new momentum in the process going forward," he said, thanking the LNA and the IDF for their cooperation. "The tripartite forum is a proven mechanism for reaching all party agreement and I ask that you continue to engage, through UNIFIL on sensitive issues," Del Col said. 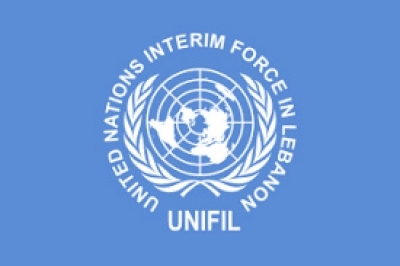 Wednesday's talks also covered air and ground violations, the situation along the Blue Line, permanent violations, issues within the scope of the UN Security Council resolution 1701 (which was intended to resolved the 2006 Israel-Lebanon conflict) and other related resolutions, UNIFIL said.